As the population ages, technology advances, and more nurses retire from the ranks, nurses with degrees from top online master's in nursing programs will continue to be in high demand. The Bureau of Labor Statistics predicts that employment opportunities for nurses will continue to grow by 15% through 2026. The Institute of Medicine issued a recommendation in 2010 that 80% of nurses should hold a BSN by the year 2020; however, only 50% of nurses hold this qualification currently. As of 2017, up to 60% hold a bachelor's degree in the field. Since the market is slated to become overly saturated with BSN graduates, recent studies show that nurses with more advanced qualifications, such as MSN training, can help to reduce morbidity and mortality rates at healthcare facilities. Nurses with advanced training will enjoy longevity in their careers as the demand for qualified nurses to care for insured Americans under the Affordable Care Act increases. Assessment: In addition to your other coursework, the MSN program includes a flexible practice immersion, allowing for the immediate applicability of knowledge gained in the classroom. Program: A master's degree in nursing gives you access to a wealth of new information and knowledge within the healthcare system. Capella's flexible program gives you the option to choose from one of five emphases: diabetes nursing, nursing education, nursing informatics, care coordination, or leadership and administration. Meet your goals and advance your career by earning your MSN degree online. Admissions Requirements: Applicants to the MSN General Nursing Specialization must have a bachelor's degree in nursing from an institution accredited by a U.S. Department of Education-recognized accrediting agency or an internationally recognized institution. Your official bachelor's transcripts, minimum grade point average of 3.0 or higher on a 4.0 scale. RN license verification including your current, unrestricted RN license (or its equivalent) to practice in the United States. Accreditation: Capella's MSN General Nursing specialization is accredited* by The Commission on Collegiate Nursing Education (CCNE), a nationally recognized accreditation agency approved by the U.S. Secretary of Education. The Commission ensures the quality and integrity of baccalaureate, graduate, and residency programs in nursing. Assessment: Help build the next generation of nurses by sharing the lessons from your practical and academic experience as a nursing educator. Program: Shape the present and future of healthcare with Walden's Master of Science in Nursing program. Walden University supports a dream of seizing a leadership role in patient care, administration, or education with an online nursing master's program in one of eight available specialties, including adult gerontology-acute care nurse practitioner, psychiatric-mental health nurse practitioner, public health nursing, and more. Admissions Requirements: Walden's MSN program is for registered nurses who hold a hospital diploma, an associate’s degree in nursing, or a bachelor's degree, and have at least two years of work experience in nursing. Accreditation: Walden University is accredited by the The Higher Learning Commission and is a member of The North Central Association; Walden nursing programs are accredited by the Commission on Collegiate Nursing (CCNE). Assessment: Pursue the advanced degree that you need in a way that fits your learning style and busy life to reach the career you want. Program: Achieve the pinnacle of skill and specialization in nursing in as little as 20 months. Ranked among the "Best Online Graduate Nursing Programs" for 2016 by U.S. News & World Report, the family nurse practitioner program is offered exclusively online, allowing working nurses the convenience of managing coursework on their schedule. Admissions Requirements: Herzing University's MSN program is for those who hold a current, active and unrestricted license as a registered nurse (RN) in the same state in which they live. (Note: Holding a multi-state, compact state license and being a resident in a compact license state will be deemed to have met this requirement. Requirements also need students to hold a Bachelor of Science in Nursing (BSN) degree from an accredited university or college with an overall minimum GPA of 3.0 on a 4.0 scale. Accreditation: The Master of Science in Nursing program offered by Herzing Online is accredited by the Commission on Collegiate Nursing Education. Assessment: Our program is intended to be affordable, grounded in real-world nursing management experience, and cover evidence-based practice, informatics, policy-making, and more. Program: CTU offers two Master of Science in Nursing concentrations: Nursing Administration and Nursing Education. Each degree program is designed to be completed in as little as 18-20 months. Students in the MSN-NA program will be taught to apply new systems of thinking to create positive change and to lead with a strong sense of personal, professional, fiscal, and ethical accountability; the MSN-NE program trains students to promote quality and safety to students and synthesize evidence-based learning and practices within teaching. Admissions Requirements: Applicants to the MSN General Nursing Specialization must have a bachelor's degree in nursing from an institution accredited by a U.S. Department of Education-recognized accrediting agency or an internationally recognized institution. At this time, Colorado Technical University cannot accept MSN students who are residents of the states of Alabama, Alaska, Delaware, Louisiana, Maryland, Massachusetts, Minnesota, Nevada, New Hampshire, New York, Tennessee, Utah, Washington, West Virginia, and Wyoming. Accreditation:The university is regionally accredited by the Higher Learning Commission (HLC) of the North Central Association of Colleges and Schools (NCA). The College of Nursing of Colorado Technical University (CTU) is currently seeking programmatic accreditation of its Master of Science in Nursing (MSN) program from the Commission on Collegiate Nursing Education (CCNE). Assessment: Norwich University's Master of Science in Nursing program equips working nurses with the relevant knowledge, skills, and experience needed to assume leadership positions in nursing administration or education. Program: Through a series of core courses, students develop a broad-based knowledge of health systems as well as essential skills in critical thinking, problem solving, research, evidence-based practice, communications, and management. MSN online students may pursue one of two tracks in nursing administration or nursing education. The program offers four start dates per year, and students can graduate in as little as 18 months. Admissions Requirements: Applicants must have a bachelor's degree from an NLNAC- or CCNE-accredited program, as well as current nursing licensure in their state and a cumulative GPA of at least 3.0. Accreditation: Norwich University is accredited by New England Association of Schools and Colleges; the MSN program is accredited by the Commission on Collegiate Nursing Education (CCNE). Assessment: For over a century, South University has given students the personalized attention they need to achieve their career goals. Program: South University offers a wide range of MSN online programs designed to help working nurses enhance their careers and deliver quality patient care. Both the MSN and RN to MSN offer five specializations: adult-gerontology primary care nurse practitioner, family nurse practitioner, nurse administrator, nurse educator and nursing informatics. Admissions Requirements: All applicants to the Master's program must hold a current and unencumbered license in the state in which they are completing program requirements. Accreditation: South University is accredited by the Southern Association of Colleges and Schools Commission on Colleges; in select states where the program is offered, South University's MSN and/or BSN programs are accredited by the Commission on Collegiate Nursing Education (CCNE). Assessment: Rigorous, values-based programs from a prestigious school of nursing at the oldest Catholic university in the country. Program: The Georgetown University School of Nursing & Health Studies offers an online MSN in a clinical nurse leader specialization for pre-licensure students, as well as AG-ACNP, family nurse practitioner, nurse-midwifery/women's health nurse practitioner and women's health nurse practitioner specializations for post-licensure students. Some specializations require minimal on-campus intensives in addition to online coursework and clinical experience in the student's state of residence. Admissions Requirements: Applicants to the AG-ACNP specialization must have at least one year of work experience in nursing; all applicants must have a valid nursing license in addition to other admissions requirements. Accreditation: Nursing@Georgetown programs are accredited by the Commission on Collegiate Nursing Education (CCNE), Accreditation Committee for Midwifery Education (ACME), Commission on Accreditation of Healthcare Management Education (CAHME), and American Association of Nurse Anesthetists (AANA). Assessment: A management-oriented online nursing program from one of the most renowned and highly-rated nursing schools in the world. Program: Vanderbilt School of Nursing's online MSN is offered in 12 specializations that can be completed on-campus or online in block format for distance students. The university also offers a dual MSN/Divinity degree. The program boasts high licensure and specialty certification pass rates across all MSN concentrations. Admissions Requirements: Applicants must have a BSN from a regionally accredited university with a GPA of 3.0 or better, as well as submit GRE scores and hold a valid, unencumbered nursing license. Accreditation: Nursing programs are accredited by the National League for Nursing (NLN), the Commission on Collegiate Nursing Education (CCNE) and the Accreditation Commission for Midwifery Education. Assessment: A uniquely customizable and values-centered interdisciplinary program from an established Catholic university in the Benedictine tradition. Program: Benedictine University's School of Health Services offers a 36-39-credit-hour online MSN program that can be completed in as little as two years. Students can choose either a nurse educator or nurse executive leader concentration. The program includes a practicum experience and requires a capstone project to complete the degree. Admissions Requirements: Applicants must have a regionally accredited BSN with a GPA of 2.75 or higher and a valid RN license. Accreditation: Nursing programs are accredited by the Commission on Collegiate Nursing Education (CCNE); institutional accreditation is provided by the North Central Association of Colleges and Schools of the Higher Learning Commission. Assessment: Highly selective leadership oriented degree programs from a top-ranked Catholic university and a nursing school nationally recognized for its excellence in nursing education. Program: Saint Xavier's School of Nursing offers an online MSN in Clinical Leadership or Executive Leadership. Students will be trained in all aspects of nursing leadership, including finance, communication, marketing and management economics. The programs emphasize the care of underserved populations and overcoming health care disparities. Clinical Leadership students must complete a two-part clinical immersion experience, while Executive Leadership majors must complete a capstone project in addition to online coursework. Admissions Requirements: Applicants must have a CCNE- or NLNAC-accredited BSN with GPA of 3.0 or higher, as well as a valid nursing license and at least one year of full-time work experience. Online nursing schools and programs vary in terms of quality, name recognition, and value. 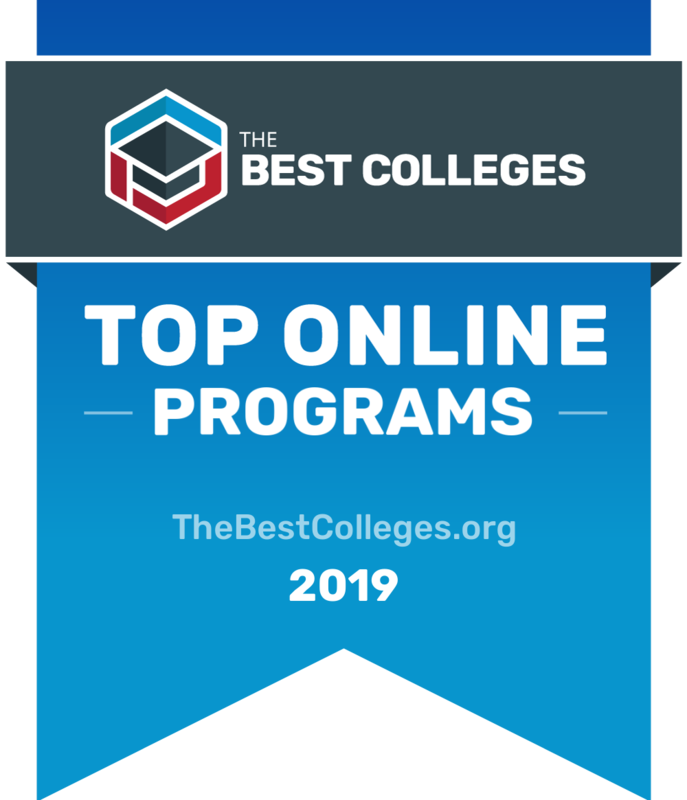 To assist students looking for a high-quality, accredited online MSN degree from a top nursing school in 2019, we've assembled the following ranking. Our rankings use publicly available data to evaluate several different criteria, including reputation, accreditation, student satisfaction, student-to-faculty ratio, and tuition. Read more about our rankings philosophy and find a list of our other top college and degrees on our rankings page. Graduates of online MSN programs can pursue a variety of RN and specialty occupations, spanning diverse clinical responsibilities, medical specializations, and professional settings. A 2012 study of nurse practitioners conducted by the Health Resources and Services Administration reported the highest numbers of nurses working directly with patients in clinical practice, though graduates of MSN online programs can choose from dozens of career options. Earning an MSN online can open the door to many advanced careers in the field, such as midwife, anesthetist, and nurse educator. Nurses in this position treat common illnesses, injuries, and medical conditions among both children and adult patients. Midwives care for pregnant women and their babies throughout the pregnancy, labor, and birth process, often continuing to provide wellness care post-birth. Nurse Anesthetists provide anesthesia to surgery and childbirth patients, working alongside family practitioners, surgeons, dentists, and other physicians to treat patients of all ages. Nurse educators train nursing staff at hospitals or through college or university nursing programs. This unique specialty is ideal for nurses interested in managing administrative elements of a medical practice such as regulatory compliance, practice spending, and budgetary concerns. Nurses employed in this specialization make a commitment to understand patient needs and provide better care by customizing services to each patient. Nurses specializing in informatics analyze healthcare data to explore methods of using medical technologies and other research tools to improve patient outcomes. Earning an MSN degree online can help boost your earning potential and qualify you for a role as a nurse practitioner. Nurses who hold a master's earn a median annual salary of $110,930, while those with a bachelor's degree work as RNs and earn a median annual salary of $70,000. Nurses with an MSN may also receive higher salaries depending on the specific industry they work in. The table below outlines the top five highest paying employers for nurse practitioners. A reputable online MSN program will always be accredited, potentially by an individual nursing-specific accreditation agency and a national or regional entity. In addition to meeting the highest standards of quality for online MSN programs, specialty accreditation demonstrates that the school understands and caters to the unique needs of its nursing students. Though the state issues nursing licenses, a good online MSN program will prepare you for the necessary licensure exams to become an RN. While online nursing master's programs do not typically offer the same federal financial aid as undergraduate degrees, some programs offer nursing scholarships and incentives in an effort to continue drawing applicants toward this major. Even if you require funding from a private lender or take out student loans to help pay for the remainder of your degree, a good online MSN program will offer affordable tuition prices in the absence of exorbitant on-campus fees and commuting costs. While your MSN online program may require an in-person clinical or practicum experience, the majority of coursework should be available online. In addition to the convenience of completing courses from your home, most online MSN programs will help arrange hands-on experiences at a facility near you, even if the school is located in another state. When researching accredited online MSN programs, look for a school that offers comprehensive credentialing assistance, guidance toward continuing education, and job-placement services, among other available postgraduate programs. While many schools have beefed up their offerings to recruit applicants in recent years, not all of them assist students with finding a job after graduation. Be sure to check statistics like job attainment and earnings for graduates of your program at the six-month mark. What's the Difference Between a BSN and an MSN? For many professionals in the nursing field, the MSN provides an opportunity to earn a higher degree and, ultimately, a higher earning potential. Some students may choose to earn their BSN first, practice as an RN for some time to gain experience, and then go on to earn an MSN. The higher earning potential serves as one of the primary advantages to earning an MSN, along with opportunities for career advancement and more advanced clinical practice as nurse practitioners, nurse anesthetists, and nurse midwives. Students who wish to progress beyond the duties of RNs will find that the MSN provides the best method for advancement; however, earning your MSN degree online requires a few additional years of academic commitment. Online MSN programs prepare students to practice medicine and work in leadership roles. Each school offers their own distinct curriculum and unique areas of specialization, which makes it important to choose a program that reflects your personal interests and career goals. The curriculum described below features common courses among all online MSN programs. Roles and Context for Advanced Nursing Practice: This course is an introductory seminar that emphasizes the importance of evidence-based practice and its implementation in a healthcare environment. Students learn about the field's legal and ethical framework, including quality of care and safety practices. This class also provides essential information for all students hoping to become advanced practice nurses, regardless of speciality. Advanced Pharmacology: In this course, advanced nursing students examine common pharmacological therapies. Coursework emphasizes drug prescription and monitoring and the decision-making process that informs creating a treatment plan. This course is ideal for aspiring family nurse practitioners, as they frequently fill prescriptions. Leadership and Nursing Practice: This course covers strategic leadership tactics and teaches students how to promote positive healthcare outcomes, communicate effectively, adhere to ethical and legal regulations, and advocate for their patients. Coursework also covers the prioritization of patient care in complex environments. The curriculum is ideal for students pursuing clinical nurse lead or management positions. Advanced Health Assessment Across the Life Span: This course helps students further develop their diagnostic skills and prepares them to pursue advanced careers in medicine, such as family nurse practitioner and emergency nurse practitioner. Coursework examines lifespan development, health risk analyses, and patient histories, which teaches students how to appropriately determine normal and abnormal variations of health within the life cycle. Pathophysiology: This course integrates advanced physiology and clinical implications, teaching students about organ systems and their potential abnormalities. By the end of the course, students should be able to differentiate between aberrant biological processes causing illness and normal symptoms of the body's life cycle. Many programs offer the opportunity to pursue a specialization or concentration that supplements a MSN degree online. These specializations prepare students for career paths in specific industries. Available concentrations may vary by program. This concentration emphasizes primary care for older adults. Studies explore the way age impacts both the body and mind of aging adults, including its implications on clinical practice. This concentration may also emphasize social and behavioral aspects of aging. Nurse practitioners who specialize in psychiatric care often work alongside psychologists and counselors to diagnose and treat cognitive and behavioral disorders, tending to the mental health of patients. Psychiatric nurse practitioners diagnose mental illnesses, prescribe necessary medications, and assist patients in understanding these diagnoses and treatments. Midwives work with obstetricians and gynecological specialists to care for mothers before, during, and after birth. These nurses assist in home births or births within special midwife facilities that sometimes emphasize homeopathic and natural methods. Like doctors, these nurses must often wait on call for any patients under their care who may go into labor. Nurses who specialize in neonatal care assist newborns who may need more than standard treatment, such as newborns needing drug detox and those with premature birth complications. These nurses take special intensive care of these infants and provide valuable support to the families. Earning a certification as a nurse anesthetist allows nurses to work in various medical settings where doctors perform surgery. These nurses prepare and administer anesthesia and assist doctors during surgical procedures. They also provide after-surgery care and advice to patients. Several factors may affect the length of online MSN programs, as schools offer a variety of program structures and credit requirements. Factors include practicum requirements, specialization tracks, requisite clinic hours, and cohort versus asynchronous formatting. Most online MSN programs feature set start and end dates; students start the curriculum together at set times of the year with course lengths ranging from 8-16 weeks. These programs allow students to complete individual classes at their own pace. Online MSN programs generally take two or three years of full-time study to complete; part-time students may take three or four years to graduate. Earning an MSN degree online through an accelerated program rather than through a traditional program allows you to complete required coursework faster. Accelerated programs possess a specific accelerated timeline, or they may allow students to complete work at their own pace. These programs may save you some money in the long run, but tuition rates are often the same as traditional online programs. Accelerated MSN programs typically work best for students who can commit to completing coursework in a shorter amount of time. Some schools offer pathways to earning an MSN degree online, even without a BSN. You can pursue an online MSN with a non-nursing bachelor's degree if you possess an associate degree in nursing and a current RN license. The ASN-to-MSN program combines the curriculum of a BSN-to-MSN program, ultimately saving students time and tuition costs in the long run; however, you may need to hold prior work experience as an RN before you can gain admission to an online RN-to-MSN program. Earning a dual-degree gives students the opportunity to gain skills in two separate degree areas and ultimately earn two distinct diplomas upon graduation. These programs may take the same amount of time as an MSN degree alone, or require more time, depending on the specific dual-degree option you choose. If the program does take longer, it may also cost you more with added tuition costs. These programs often take around three years, or 6-7 academic semesters, to complete. MPH-MSN programs provide the skills nurses need to better assist their local communities and influence public health. MBA-MSN dual-degree program online allows students to gain the management and business skills necessary to manage nursing departments. MPH-MSN programs provide the skills nurses need to better assist their local communities and influence public health. The MSN-MHA dual degree online option gives students the opportunity to learn the administrative side of the healthcare field, including valuable skills in areas like finance management, legal issues in healthcare, and healthcare information management. Depending on your educational background, admissions requirements for online MSN programs may vary. Many programs, regardless of your academic background, require a standard application, proof of a license in nursing, a minimum of an associate degree in nursing, and letters of recommendation. Generally, applicants do not need to take the GRE or GMAT; however, students without a BSN may need to complete the National Council Licensure Examination for RNs and submit official passing scores. These students may also need to submit proof of certain course prerequisites to fulfill admissions requirements. Some programs may also require applicants to hold a certain amount of work experience as an RN prior to admission. Nurse Practitioner Certification and License: NPs must hold both certification and state licensure. To obtain both, students must work as an RN, earn an MSN, and pass a certification exam in their chosen speciality. The final step requires students to apply for state licensure. Once completed, NPs work as independent, specialized medical providers. Certified Registered Nurse Anesthetist: CRNAs specialize in the administration of anesthesia. They generally work in surgical teams to ensure patient safety and wellbeing. Employment as a CRNA requires an RN license, an MSN, and additional CRNA certification through a national agency like the American Association of Nurse Anesthetists. Certified Nurse Midwife: CNMs focus on gynecological, prenatal, and postnatal care. To earn this certification, students must hold experience as an RN, earn an MSN with a focus on midwifery, and then pass a national qualifying exam. This certification awards licensure in all 50 states. The ability for nurses to maintain their employment and/or family responsibilities while earning their degree serves as one of the many advantages of earning an MSN from a top online nursing school. Many of the best online nursing schools and programs do not require any campus visits and allow practicums and clinicals to be completed near the student's home. Graduates of online MSN programs also possess a broader range of job prospects and a greater earning potential in the workforce. Recent studies found that nurses with MSN degrees qualify for advanced positions in the field and earn roughly $20,000 more than nurses with only a BSN degree. Graduates of online MSN programs also possess a broader range of job prospects and a greater earning potential in the workforce. The MSN serves as a postgraduate degree for RNs and an entry-level requirement for students pursuing careers in specialized areas like nurse administration or clinical nurse management. Graduates of online MSN programs who wish to further their education may pursue a Doctor of Nursing Practice (DNP) or Doctor of Nursing (ND). While doctoral nursing programs require a BSN, some programs allow students to earn their MSN through an MSN-DNP dual-degree option. Most students earning their online MSN will need some kind of financial aid to pay for their degree. Fortunately, there are several options available. The first step is completing the FAFSA to see if you are eligible for federal financial aid. You can also research what scholarships and work-study programs your prospective school provides. Students may also receive nursing scholarships and grants through federal aid or professional organizations. Additionally, loan forgiveness programs serve as an excellent resource for students who want to work at nonprofit medical organizations or with underserved populations for extended periods of time. Students pursuing an MSN online can qualify for a variety of scholarships earmarked for nursing professionals. Nursing scholarships may be divided by specific qualifications, such as race or gender. However, professional organizations with a vested interest in training and hiring qualified professionals may offer speciality-specific scholarships. For more information about scholarships for nursing students, refer to the scholarship for nursing students guide. Who Can Apply: AANP offers scholarships every year to students completing their master's or doctoral degrees in nursing. AANP serves to advance the nurse practitioner profession. In 2017, the organization awarded $60,000 worth of scholarships to a selection of students. Who Can Apply: The American Cancer Society offers scholarships to students pursuing an advanced degree in nursing with a focus on oncology. This two-year, renewable scholarship requires an extensive application detailing professional goals and prior experience in cancer nursing. Who Can Apply: Each year, APNF offers one scholarship to a student admitted or currently enrolled in an online nursing master's program. Applicants must submit transcripts, a goal statement, and a letter of recommendation for consideration. Who Can Apply: CVS Pharmacy Minute Clinic sponsors 20 scholarships each year for students completing their MSN degree. Applicants must be enrolled in an MSN program that will lead to a family nurse practitioner certification, hold a minimum 3.2 GPA, and demonstrate strong leadership skills and a history of community involvement. Who Can Apply: Although the program primarily awards scholarships to students enrolled in MSN programs, this scholarship is open to any student in a nursing program. Sponsored by the U.S. Department of Health and Human Services, the Nurse Corps Scholarship requires recipients to spend at least two years working in a health professional shortage area to help underserved populations. Who Can Apply: This scholarship supports students pursuing a nursing education at an American Association of Critical-Care Nurses (AACN) member institution. The organization encourages nursing students completing their MSN to apply, with special consideration given to applicants seeking a career in nurse education. AfterCollege awards a scholarship every quarter. *The schools listed above are sponsored. Sponsored school listings are distinct paid advertisements and are clearly marked with a "SPONSORED" or "FEATURED" tag to distinguish them from editorially ranked schools. Learn more about how we rank schools or contact us with questions. To determine the best online MSN degrees, we looked at the most important factors for prospective students, mainly common predictors of future success and a school's commitment to online programs. This boils down to admissions rate, student loan default rate, retention rate, graduation rate, and the percent of students enrolled in online classes. All data points are taken from information provided by colleges and universities to the National Center for Education Statistics. Each factor is weighted evenly in order to give an objective view and determine the 9 best online MSN programs. To calculate our rankings, we looked at a school's ranking when organized by a single factor and then averaged each categories ranking to find an overall score: Admissions Rate (20%) + Default Rate (20%) + Retention Rate (20%) + Graduation Rate (20%) + Percent of Students Enrolled in Online Classes (20%) = Final score.